Today is apparently Walk Your Dog Day. 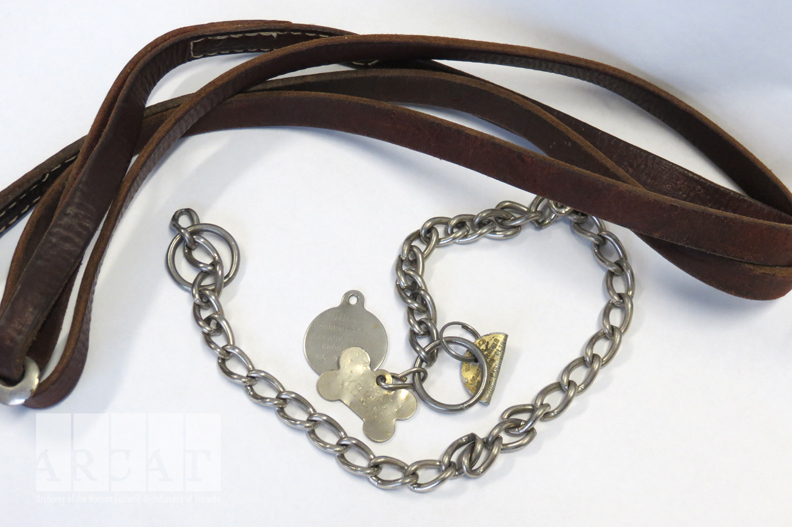 (Although your dog will not hesitate to remind you repeatedly that every day is Walk Your Dog Day). The Chinese Year of the Dog began last week. Alas, this blog post is going to the dogs. Photographs of Rev. 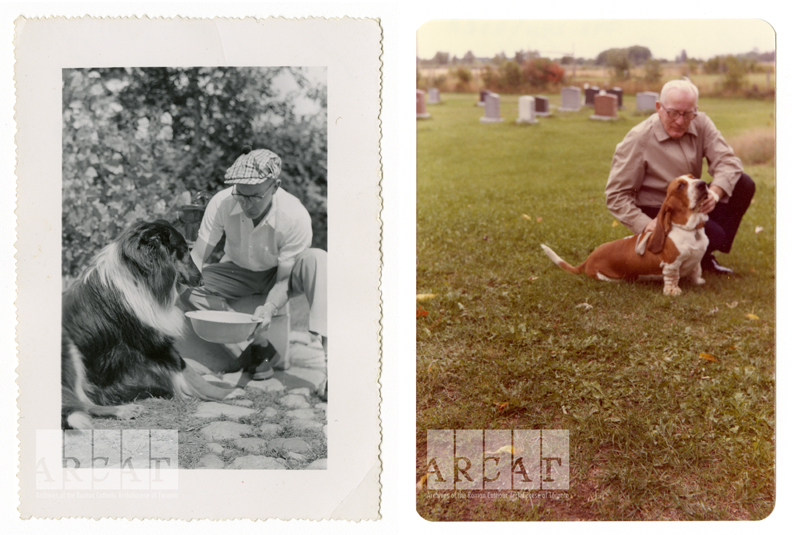 James J. G. Hayes with his first dog, a Rough Collie (left) and visiting the St. Andrews Parish Cemetery, Brechin, with his Basset Hound, "Guv'nor" (right). 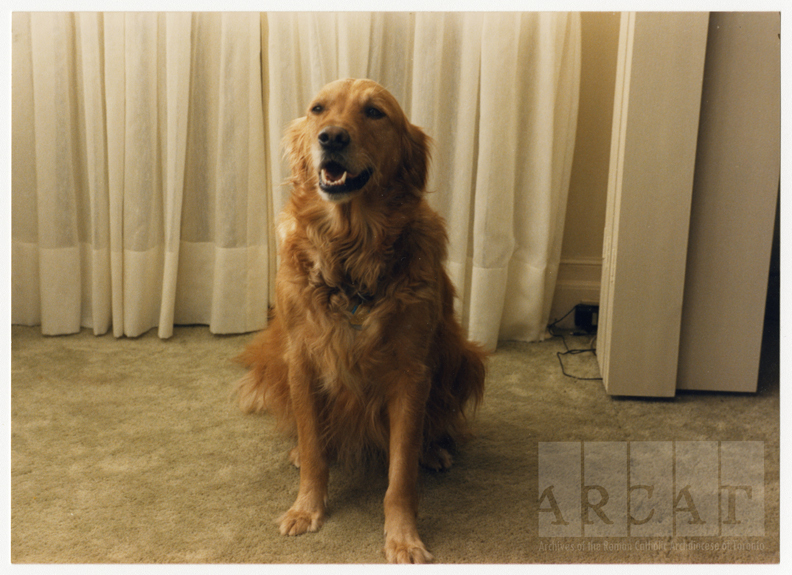 Cardinal Carter's love of dogs was well known and his breed of choice was the Golden Retriever. His dog, Duffy, is pictured here at Cardinal Carter's residence, ca. 1984. 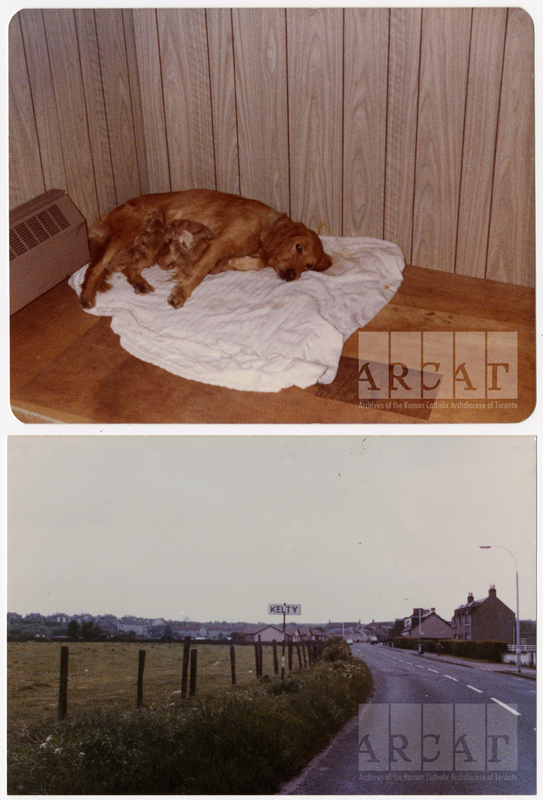 Cardinal Carter's dog, Kelty, among her litter mates (above) and a photo of the town in Ireland after which she was named. 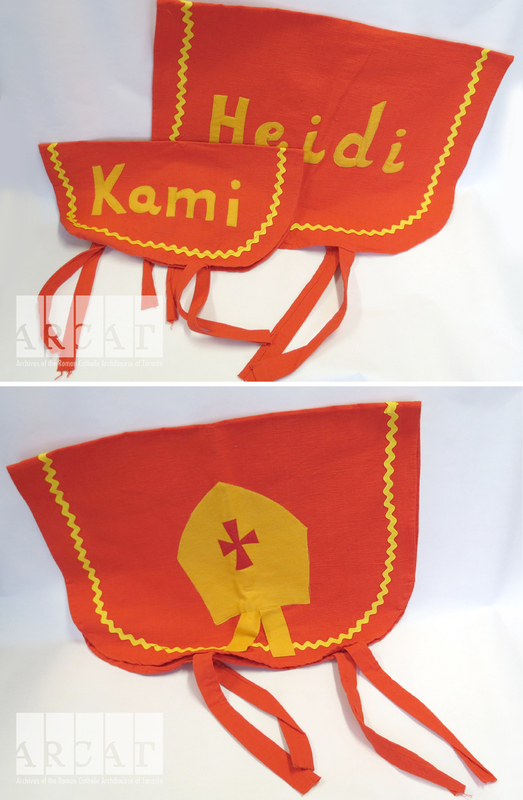 Dog coats made for Cardinal Carter's dogs, Kami and Heidi, complete with decorative mitres. 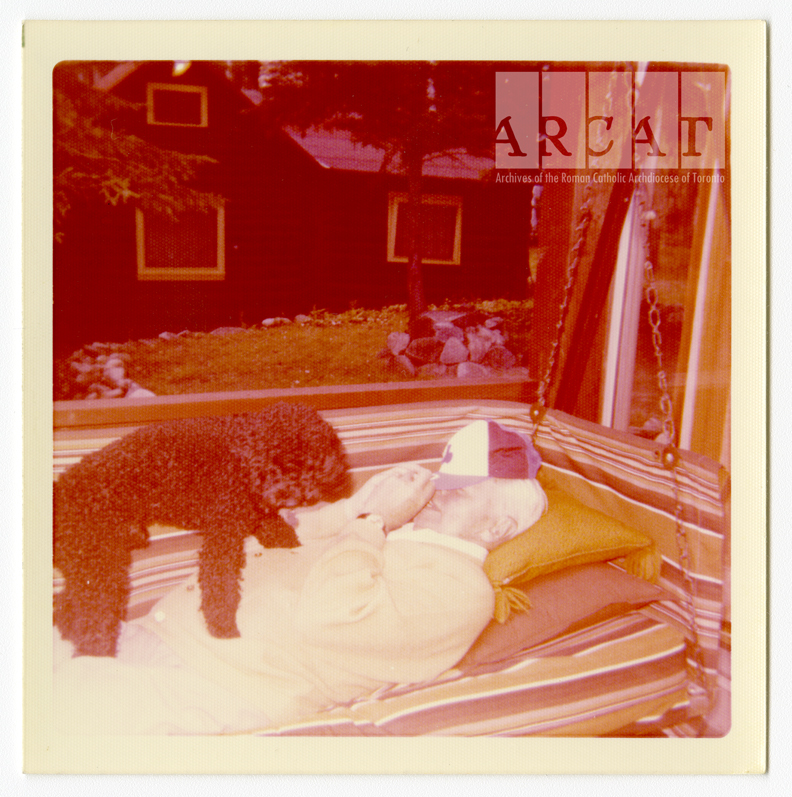 Archbishop Pocock relaxes with a poodle at the cottage, ca. 1975.